From fires to floods, power outages to burst pipes, life can change in an instant—and it's best to be prepared. Taking the time to prepare for emergencies before they happen is the smartest step you can take to keep your family safe. Here's what you need to know about how to prepare for an emergency. How should you prepare for emergencies? Start by learning which types of hazards are most likely to affect your area. The American Red Cross, FEMA, and the U.S. Geological Survey's Natural Hazard site provide frequency and risk data about natural disasters—such as flash floods, earthquakes, and tornados—across the U.S..
Once you know which emergencies you're most likely to face, you can start building an emergency response plan that addresses common concerns. Your plan should determine an escape route out of your home, taking into account that normal exits may be blocked. Your plan should also include two safe places where all family members can agree to meet in case you're separated. Choose one meeting place that's nearby, such as a mailbox outside your house. Choose another meeting place that's outside your neighborhood, in case your streets are blocked or otherwise impassable. Ensure that a phone or cell phone is available for emergency use. Teach children to use the emergency call feature on a cell phone to call 911 if necessary. Keep a printed copy of your plan in a prominent place in your home, and review it with the entire family at least once a year. Fill a waterproof container with enough supplies to last your family at least three days. 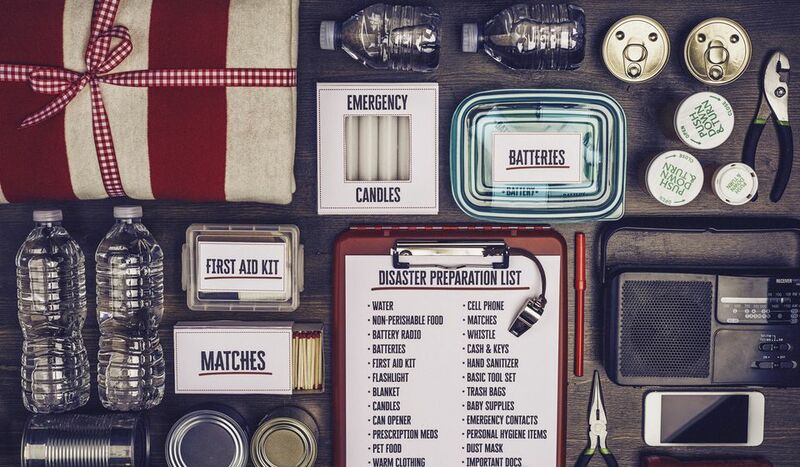 The Department of Homeland Security provides a disaster list kit that covers basics like water, food, matches, batteries, flashlights and first aid supplies. You'll also want to include items such as prescription medications, cash, copies of important documents, pet food, and warm clothing. Keep your kit in an easily accessible place and review the contents each year. You may also want to create smaller kits to keep at your workplace and in your car. Not all emergencies are natural disasters, but even smaller issues can end up being costly. For instance, homeowners pay an average of $3,200 all the way up to $29,700 to repair fire and smoke damage, according to surveyed homeowners. Fortunately, preparing for emergencies can end up saving you money in the long run. Smoke alarms offer a first line of defense against fires. Install at least one alarm on each level of the house, including near all bedrooms and sleeping areas. Test batteries once per month, install new batteries at least once per year, and install new alarms every 10 years. When you're dusting or vacuuming the house, give your smoke alarms a good cleaning, as dust build-up can affect functionality. Fire extinguishers can stop a fire in its tracks. Invest in multipurpose extinguishers for your kitchen, basement, garage, and near your furnace and water heater. Check extinguishers every month to ensure they're full, and replace old extinguishers every 5 to 15 years, or according to the manufacturer's instructions. Your family should identify an escape route out of each room in the house, taking windows and doors into account. If you have more than one story, invest in a flame-resistant escape ladder for each bedroom on upper floors. Finally, be sure that your house numbers are clearly visible from the outside, so emergency vehicles can find your home easily. In many areas of the U.S., winter storms cause a range of problems, from frozen pipes to power outages. Severe winter storms can immobilize entire regions for days, underlying the necessity of planning ahead to minimize damage. Freezing rain, sleet, and snow can knock out power lines; prepare for power outages by storing flashlights and batteries around the house. Protect your data by backing up your computer regularly and keeping extra batteries on hand for your laptop. Even if you're not experiencing a winter storm, limit the number of appliances you plug into single outlets so as not to place too heavy of a load on circuits. When temperatures plummet, pipes can freeze, leading to costly damage. Prepare by removing hoses from outside spigots and letting them drain before temperatures drop. Inside, insulate pipes in cold areas like basements and crawl spaces. When it's really cold out, leave the tap on just a bit, to allow a trickle to keep things moving. Finally, leave under-sink cabinets open to warm pipes inside.